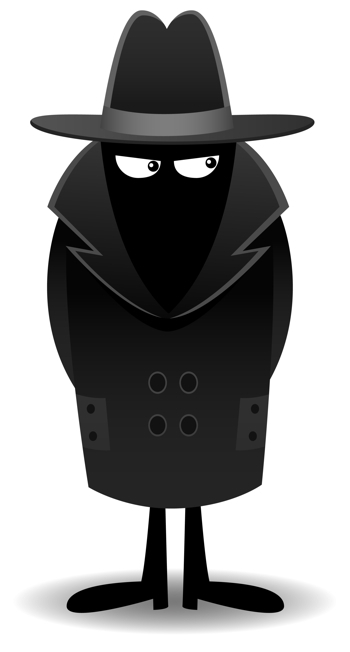 Are you ready to have some fun as a confidence builder secret agent 007? Are you ready to go beyond enemy lines in the duty for yourself and country? OK, I know I’m getting carried away but how about completing another confidence building exercise instead? Success leaves clues wherever it goes. In order to get the desired confidence levels that you are after it pays to be a copycat. By observing and modelling successful behavior, in this case people with high levels of confidence, you can pick up little golden nuggets of tips, techniques and the strategies that they use. Over the next 3 days I want you to observe other people – pretend that you are undercover! However, no newspapers with two eye-holes cut out are allowed…ha ha. I want you to observe all types of people…confident people, shy people, outgoing people, people talking, people being quiet, how people interact with each other. Observe people who know one another, people who are strangers, the whole nine yards! For the next 2 days, I want you to take just 1 of the 5 behaviors that you have written out above and I want you to act that way for the duration of those 2 days. After the 2 days you will soon discover the magic of modelling behaviors. Then you’ll move onto the next behavior and the next until you get the modelling down. Also…a great way to boost your confidence is to keep a confidence diary. It is a smart tool to just remind yourself just how good you really are and what you have to be thankful for and pleased about in your life right now. Either buy yourself a notebook or a day to view diary and once a week for the next month I’d like you to jot down your answers to the following confidence questions. Don’t give me any excuses about you haven’t got the time to do it! If you need a booster midweek, then by all means answer them again whenever you want to feel centered and remind yourself of what you have got going for yourself in your life right now. Have fun…it is a new year…time to do…new things…new experiences…you got all to gain and nothing to lose.